It should come to no surprise that Max Martin is the most prolific pop songwriter of today having penned hits for Britney Spears, Katy Perry, & Taylor Swift. Some claim that he is behind the whole modern pop sound. He’s since topped the charts with 18 signature songs performed by N’Sync, P!nk, Kelly Clarkson, Maroon 5, Katy Perry and Taylor Swift. Max Martin has the third most No. 1 singles, trailing behind Paul McCartney, with 32, and John Lennon, with 26. 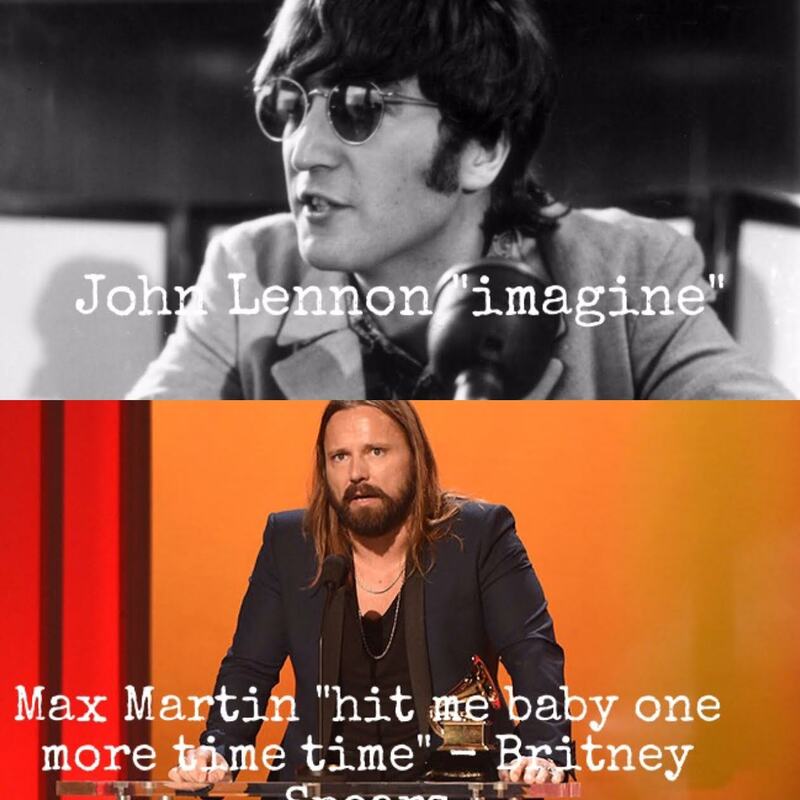 Would you put Max Martin, the man behind Britney Spears “Hit Me Baby One More Time” in the same league as John Lennon & McCartney?